Earn $3.39 in VIP credit (339 points)What's This? 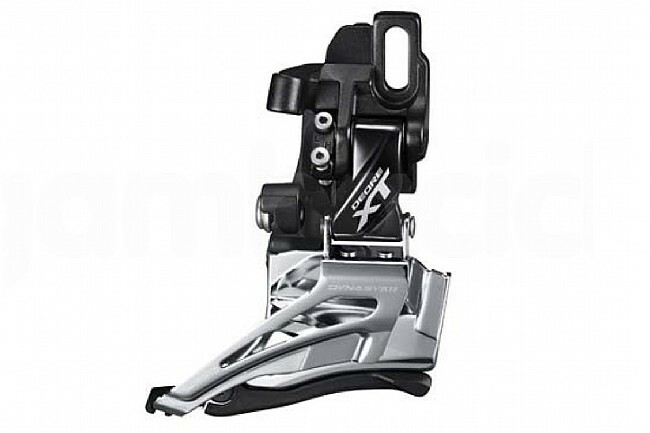 For the 3 mm outboard chainlines on frames with Boost spacing, the Shimano XT M8025 Front Derailleur is designed to still provide precise shifting on 2 x 11 double chainsets. The cage gives ample clearance on short chainstay bikes with high-volume tires and extends performance through the longer range of travel found on dual-suspension trail bikes. Low direct mount. Max chainring size is 38T. 10T capacity.